This recruitment is being conducted to fill current Staff Nurse V – Clinical and Assistant Nursing Department Manager (ADM) vacancies with San Joaquin General Hospital inpatient nursing departments and to establish an eligible list to fill future vacancies. Current vacancies are primarily in the following units: Emergency Department, Intensive Care Unit, Medical Surgical/Medical Guarded Units, and Surgery/Recovery (OR). Please note that these current vacancies may change as they are filled. A Staff Nurse V-Clinical will possess strong preceptor experience within an acute care hospital setting in specified units, the ability to mentor staff as well as new nurses. An ideal candidate is a highly motivated individual with a strong work ethic, excellent communication skills, problem-solving skills, and is able to work in a fast-paced, team-oriented environment. Staff Nurse V-Assistant Nursing Department Managers are supervisory level positions, assist the Nursing Department Manager in assessing total patient needs, evaluate performance of staff, and coordinate the unit with other hospital divisions or services. Ideal candidates should possess experience in the specified unit, specialized certifications, excellent communication skills, demonstrate a strong work ethic, leadership skills, and an ability to work in a fast-paced, team-oriented environment. San Joaquin General Hospital is a public hospital, designated level III Trauma Center and Certified Stroke Center. This teaching hospital environment will rely on you to make a difference as a team player on a high functioning multi-disciplinary team. The work schedule of positions to be filled may include AM, Nights, or PM shifts as well as weekends and holidays depending upon the operational needs of the departments.  A comprehensive benefits package and ability to participate in the San Joaquin County Employees’ Retirement Association (SJCERA) is provided. Visit www.sjcera.org to learn more. Experience: Please refer to the career ladder for the required experience for each of the nursing units. Licenses and Certificates: Current registration as a nurse in the State of California. Please refer to the career ladder for the specific certifications and/or licensure required for each of the nursing units. Offer of employment is contingent upon passing a pre-employment physical exam and drug screening test. Assign, supervise, train, assist and evaluate members of a nursing service unit; prepare and maintain records, charts, reports, and statistical data; deal with patients empathetically and respectfully while performing treatments prescribed; instruct patients in self-care and preventative health strategies; establish and maintain effective working relationships with others; maintain a safe facility environment; maintain cohesiveness and communication as a team during high stress; establish and maintain effective customer service; coordinate the several types of services which may be necessary for appropriate care; assist other staff in understanding current psycho-physiological aspects of illness; set priorities; work effectively under pressure; supervise and participate effectively in performance improvement processes; provides and promotes a positive learning environment. Supervise and assist members of the health care team; maintain a high standard of care; deal with patients empathetically and respectfully while performing treatments prescribed; instruct patients in self-care and preventative health strategies; follow oral and written instructions of a technical and professional nature in accurately; establish and maintain effective working relationships with others; establish and maintain effective customer service; maintain accurate records and prepare routine reports; develop and implement individualized care plans for patients; coordinate the several types of services which may be necessary for appropriate care; assist other staff in understanding current psycho-physiological aspects of illness; set priorities; work accurately under pressure; interpret policies and procedures; teach clinical skills; develop basic teaching plans and teach classes; supervise and participate effectively in performance improvement processes; provide and promote a positive learning environment. To apply, please email your resume to rplateau@sjgh.org.